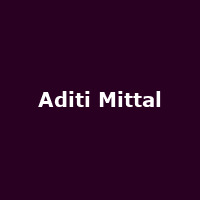 "Aditi Mittal is a stand up comedian, writer, actress. She has been consistently rated one India's top 10 stand-up comedians since 2012. Her brand of humour is cutting edge, personal and observational and has featured on documentary films Stand Up Planet and Menstrual Man. Today she is a regular at the Canvas Laugh Factory in Mumbai and has performed all around the world."